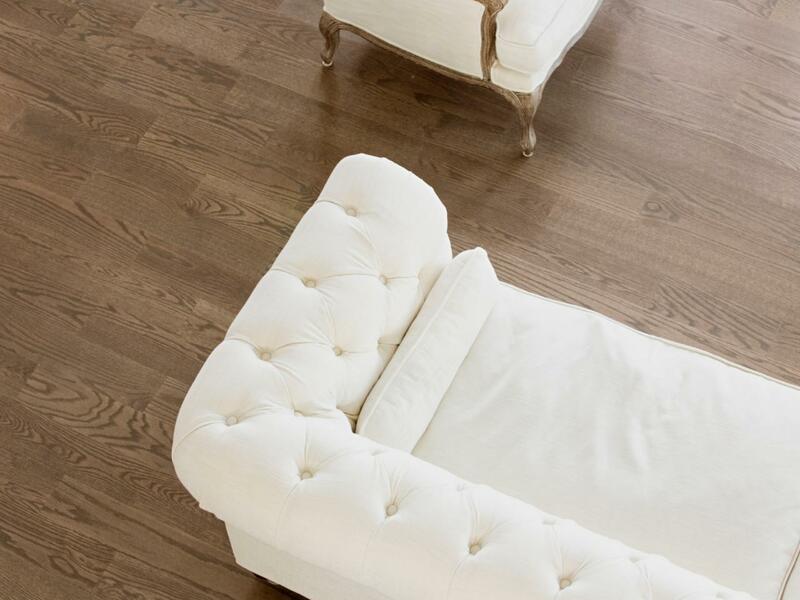 Engineered wood flooring features real wood, but it’s more stable than solid wood flooring. That’s because it’s made with a laminate construction — several layers glued together under pressure and heat to form a rigid, lightweight planks and tiles. Laminated construction resists shrinking and expanding caused by changes in temperature and humidity. Typical engineered wood flooring has an inner core of high-density fiberboard and a bottom layer of hardwood that’s treated to resist moisture. The top layer is a veneer of real wood. Depending on the thickness of the top veneer, older, worn engineered wood flooring can be sanded and refinished once or twice, which helps extend its useful life. Engineered hardwood flooring comes in an array of wood species, colors and finishes—some manufacturers offer hundreds of choices. 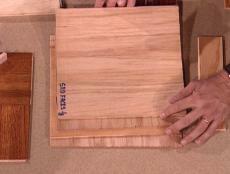 You can pick domestic favorites such as oak, walnut, cherry and maple. 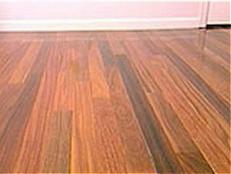 If you like your floors a little spicier, try exotics such as tigerwood, sapele, acacia and more. 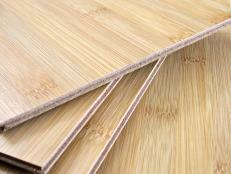 The prices of engineered wood flooring tend to be slightly less than their solid wood counterparts. 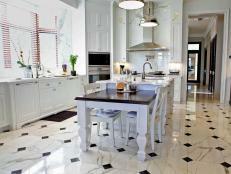 Most engineered floors come prefinished with durable, UV-cured polyurethane. Some finishes include aluminum oxide for extra toughness and are guaranteed for 25 years or more. However, refinishing a flooring product with a super-hard coating can be tricky — look for a pro floor refinisher who has experience removing aluminum oxide-based coatings. 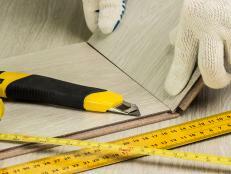 Engineered flooring can be nailed or glued down, just like solid wood flooring. It also comes as a floating floor product, with edges and ends designed to snap together so there’s no nailing. 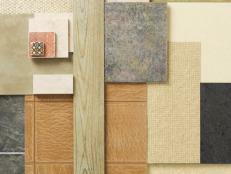 The DIY-friendly snap-together planks or tiles are put down over a thin foam cushion underlayment. The system can be installed over most existing flooring — with the exception of thick carpet — so it’s a good retrofit project. 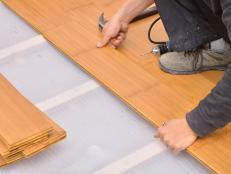 Ease of installation helps save labor costs. 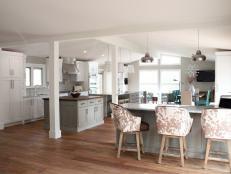 There aren’t many drawbacks to engineered hardwood flooring. 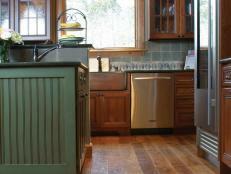 Some manufacturers claim their products are moisture-resistant enough that they can be installed in high-humidity areas, but professional installers caution against putting engineered hardwood flooring in bathrooms and laundry rooms. Below-grade basements should be absolutely dry and have no history of flooding or water infiltration. 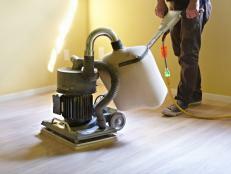 Sweep and vacuum dust and grit two or three times each week. Use a damp mop or sponge sparingly, using only mild soap and water or a floor cleaning product made specifically for wood floors. Make sure there are no wet spots remaining. Keep dogs nails clipped and discourage high heels to avoid dents and dings.